The benefits of renting a home have been underrated for years. 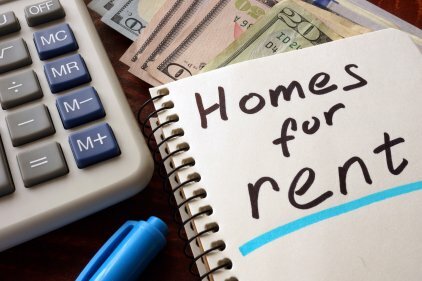 Check out these awesome perks of renting vs owning. What do you think about when you consider renting a home? Probably a fresh-faced college grad with about $20 to their name, eating a lot of instant ramen, right? Renting a home has classically been looked down upon and underrated. The facts are in, and they show that renting is absolutely a valid alternative to purchasing your own home, especially in today's real estate climate. Curious about the benefits? Let's take a deeper dive to find out more! If you're renting a home in an apartment complex or another community, there's a big chance you have access to amenities! This is definitely a financial benefit; have you seen the kinds of things offered nowadays? Just by renting in a certain community, you'll gain access to pools, fitness centers, business centers, conference rooms, kitchens, and all other sorts of things. If you buy a house, sure, you can still have these things - but your wallet will take the hit. By renting, you don't have to face the responsibility of paying for the equipment: it's included in your monthly fee! This is probably one of the first things you consider when you think about renting a home. If you rent, you don't have to worry about repair costs stacking up. This is because you won't be responsible for fixing whatever is wrong. Check your lease for information about this. Some landlords place restrictions on what it's actually necessary to call them for, and what you need to buckle down and repair yourself. However, because the property doesn't belong to you, in many cases, they're solely responsible for the upkeep. Just call them the next time something goes wrong, and they'll be required to fix it. Additionally, you may find that your apartment gets cleaned or remodeled without any cost to you! Buying a house may be the dream for some people, but you know what isn't the dream? Related article: Rental Property Taxes. Real estate taxes vary by county, so it's difficult to say how much you can expect to spend as a homeowner. However, it's very easy to say how much you'll pay as a renter: absolutely nothing. While property tax calculations are determined by whatever the estimated property value of your home is, renters don't have this problem. There's never been a better time to shack up in the apartment of your dreams, rather than in a large house, forcing you to be subject to property taxes. You typically need about 20% of your property value on-hand when you sign to purchase a home. As houses grow larger and more expensive, this can be difficult to gather. However, when you're renting a home, you don't have to care so much about things like that. That's not to say that you don't have to pay anything at signing. You'll still need to pay your security deposit and at least one month's rent, depending on your landlord and the community you pick. This is still significantly less money than you'd need to buy a house. If you need a home immediately, you can already see how this works in your favor. Regardless of what your initial deposit is for your apartment, there's a good chance it's much less than the 20% down payment you'd need to purchase a home. Take a look at the current market, and then be honest with yourself: is buying a home really something you want to do? It's a risk. We may be in recovery from the 2008 bubble burst, but we also may not be. Regardless of whether or not the real estate market needs to be on life support, it's entirely logical to distrust the market. After all, foreclosures are still in full swing, and after watching a market collapse, the current generation may not be keen on taking up a mortgage and staking their claim. By renting your home, you can easily avoid these fears altogether. Not only will you be getting a bargain on your home, but you'll have the peace of mind by knowing that you're not losing money. Renting a home offers you and your family ridiculous flexibility in how to navigate your lives. When you purchase a home, you do it in a location where you think you'll want to live for a considerable amount of time - at least until your mortgage is paid off, right? However, renting gives you and your family the flexibility - and option - to downsize to a smaller apartment if you hit a bump in the financial road. Additionally, many complexes require you to meet and renew your lease year after year. Some may even do shorter leases. This gives you the freedom to pack up your things and move to a new area if that's what's in the cards for you. All around, renting has lower costs than buying a home outright. Your rent amount will be fixed depending on the terms of your lease, while your mortgage can fluctuate as can property taxes. When you're trying to budget effectively, this can render your savings plan moot. Additionally, renters usually only need renters' insurance in order to rent. Homeowners' insurance is much more expensive. Also, renters experience lower utility costs as it costs less to heat and cool a small apartment than a large house. Is Renting a Home the Best Route for You? In life, sometimes it looks like there's a roadmap we need to be following. After we rent an apartment and grow up and settle down, the logical next step is to purchase a house. However, the tides are shifting, and the benefits of renting your home cannot be denied. If you rent, you'll be able to take advantage of flexibility and amenities offered to you. You'll also get to keep a little more money in your wallet through decreased operational costs. If you have any questions regarding property rentals, please don't hesitate to contact us!